Former Palestinian prisoner Thaer Halahla, who was held without charge by Israel for nearly two years until last June, has been rearrested in Ramallah, an official in the Palestinian Authority's ministry for prisoners' affairs told AFP. Witnesses told Ma'an news agency that Israeli soldiers raided Halahla's home and a neighboring residence in Ramallah, damaging his belongings and confiscating his mobile phone. His wife fainted during the arrest, and was taken to hospital. The 35-year-old Halahla, from the Hebron district town of Kharas, was released in June after a 76-day hunger strike in protest against his detention without charge and conditions in Israeli prisons. 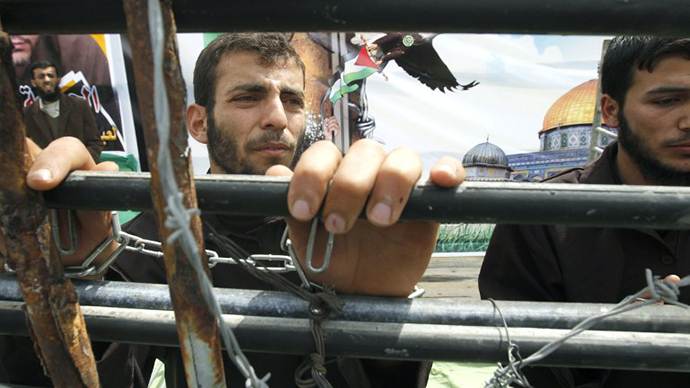 According to AFP, Halahla was one of over 1,500 prisoners who went on a hunger strike for different lengths of time until May 14, 2012, when a deal was struck with Israeli authorities to improve prison conditions. The Israeli Prison Service freed him near the Beit Seera checkpoint in western Ramallah, where he was met by crowds of supporters celebrating his return. Halahla agreed to the deal with prison authorities in mid-May last year in exchange for his release at the end of his current administrative detention term, according to Ma’an news agency. Israel’s administrative detention act makes it possible to imprison suspects without trial by order of a military court; such orders can be renewed indefinitely for up to six months at a time. 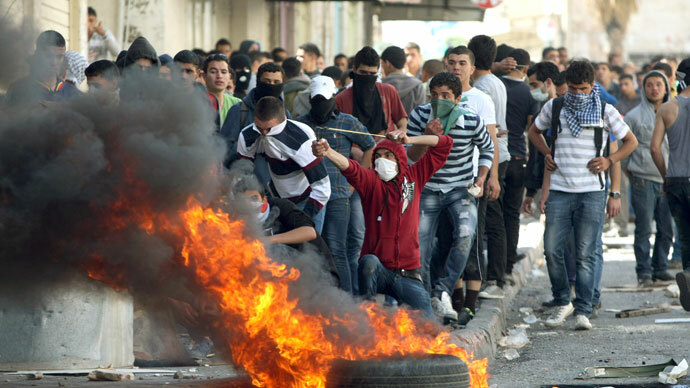 Earlier this month, riots swept across the West Bank and Gaza following the April 2 death of a Palestinian prisoner in an Israeli jail. Maysara Abu Hamdiyeh, 64, had reportedly been refused release for medical treatment. His family claimed he had complained about his health since the summer of last year. It was only in March when he was diagnosed with terminal cancer that prison authorities finally allowed him to be treated in hospital, where he died a week later. According to Haaretz, Hamdiyeh had been serving a life sentence since 2002 for attempted murder, membership in Hamas and weapons possession. His enraged supporters blamed Israel for the elderly prisoner’s death; over 4,000 Palestinian inmates went on hunger strike to show their anger at his demise. Palestinian Authority President Mahmoud Abbas declared that Israel was responsible for deterioration of his health, but his accusations were dismissed. "The Palestinian detainees imprisoned in Israel receive excellent medical attention and are visited by the Red Cross, whereas inmates in [Palestinian Authority] prisons receive nothing," Ofir Gendelman, a spokesperson for Prime Minister Benjamin Netanyahu said, according to Haaretz. 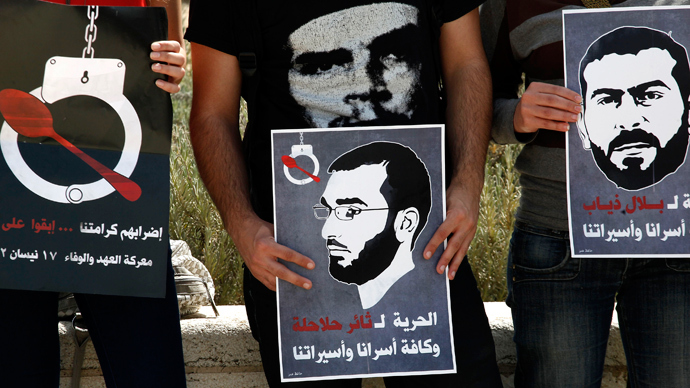 Hamdiyeh’s death is the second Palestinian to die in an Israeli jail this year. Arafat Jaradat, 30, passed away after a heart attack in February, while Palestinian authorities claimed he died after being tortured, citing autopsy results. 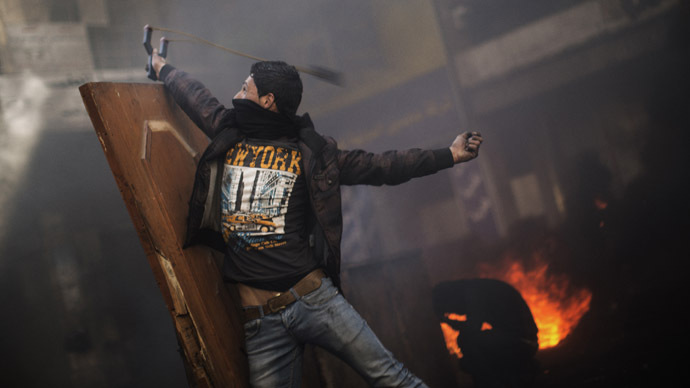 Jaradat’s funeral also drew thousands of Palestinian demonstrators, who clashed with Israeli police.